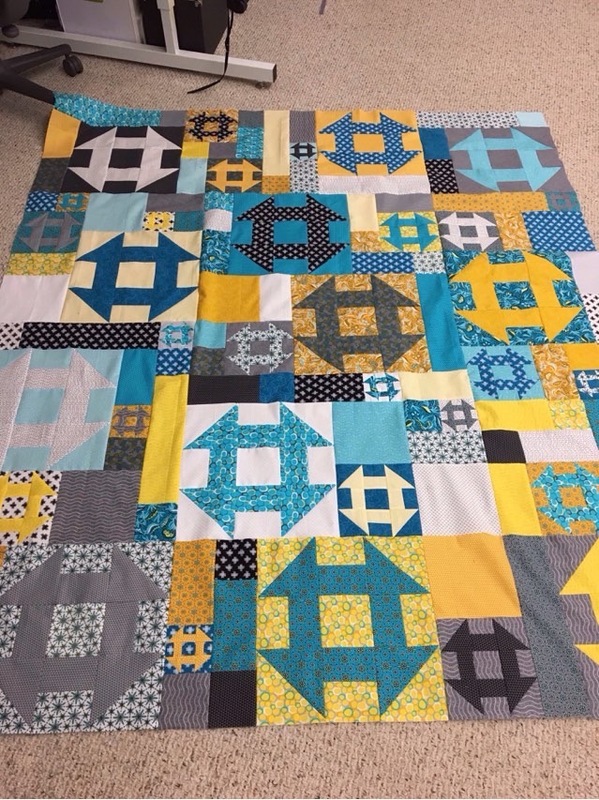 Had fun finishing the piecing of this quilt today. Can't wait to quilt it! Fabrics are from Connecting Threads. The group is called Captiva and its on sale! Where did you find the pattern? This could be a real stash buster! That's one of my favorite blocks and yours is lovely. The tiny churn dashes tucked in here and there are especially adorable surprises. Great job! Neat top, Harriet. It's really interesting with all the different sizes of churn dashes. Wonderful colors. I love a churn dash. I simply love your quilt. It is so pretty and I love the way all of the blocks are different sizes. Thank you for the link to look up the pattern. I'm really loving those grays! If you asked me a couple of years ago I would have said no. My tastes evolve all the time. Yay!!! Great quilt. I like all the variations in the quilt. Someone had fun designing the pattern and those color choices are great. I bet it was fun just deciding where to put all the different fabrics. Great job again Harriet! Can't wait to see it quilted. Nice. Oooh, I like that! The colors look so hip. Love the various churn dashes and your colors! I, too, love that pattern. Thanks for the info on it. Your colors are great and I can’t wait to see how you quilt it. I really like that pattern. It takes a well loved block, the churn dash, to new and interesting heights. Can't wait to see how you quilt it. I love all the different sizes and colors of your churn dash quilt top. Super. Thanks Harriet, I just ordered the pattern. Love the variations in sizes and the fact that I can start using quantities of my FQs. You do the best work!